Today we have good news for all those people who have planned this year's holiday in the area of Plakias . Certainly some of you are worried about the lack of convenient access through the Kourtaliotiko gorge. Recent news coming from the local media indicate, however, that already in May the road there destroyed by the winter heavy rains should be passable. We keep our fingers crossed so that the companies that carry out the renovation work keep their deadlines. Recently, individual regions of Crete have applied to the central authorities with requests for additional funds, which will be allocated to the removal of damages resulting from this year's intense downpours. The Greek Interior Ministry has approved a total of over € 4.7 million of targeted assistance for administrative units applying for such additional financial support. One of the municipalities benefiting from these funds will be the commune of Rethymno , which will receive about 800,000 from the central budget. €. One of the most expensive projects implemented in this region will be the reconstruction of the aforementioned road leading through the Kourtaliotiko gorge . The first stage of work carried out as part of this renovation will concern the restoration of car traffic. In total, 450,000 have been reserved for this part of the works. €. According to preliminary estimates, work that began on March 12 is expected to finish before the Greek Easter. Further work on this section of the road will be financed as part of the project to protect the voivodship road network. The necessary earthworks will be carried out and new retaining walls will be built. All necessary infrastructure (road signs, energy-intensive barriers) ensuring traffic safety will be restored. In total, the cost of this road rebuilding phase has been initially estimated at around € 1.2 million. 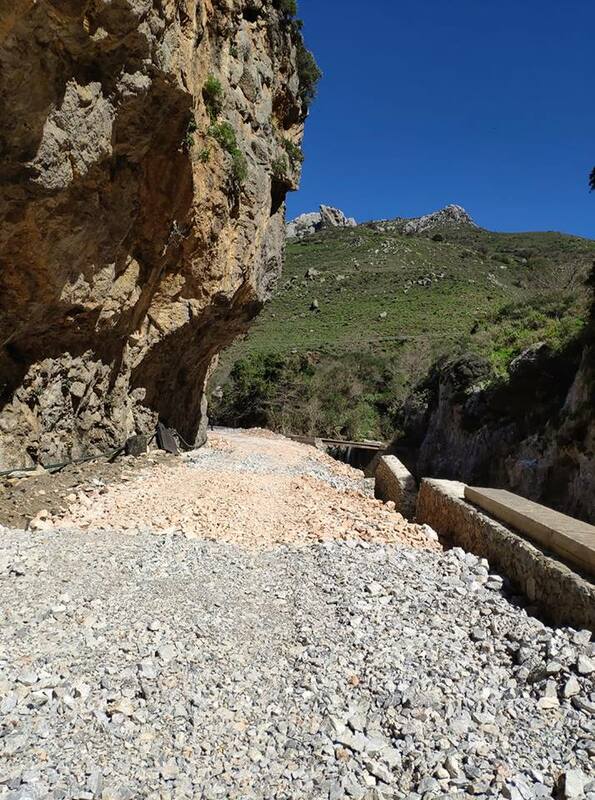 Finally, it is worth mentioning that within the funds allocated for the reconstruction of the roads in Crete, approximately € 60,000 have been reserved for road surveys in the neighboring Kotsifou ravine. These measures are to allow for determining the scope of possible work that must be done in this ravine in order to compensate for possible damage to rock walls.